Our beautiful 60 sqm Non smoking apartment with separate entrance in quiet area can accommodate up to 5 people, and for very small guests there is a cot on request. In the fully equipped self-catering kitchen also includes a dishwasher and a large dining area with TV. 1 double and 1 triple each with closet and flat screen TV. The bathroom is equipped with a toilet and shower, and shower, towels and hair dryer available. Towels, bed sheets and cleaning are of course included. Board games and cards are available. Our apartment is allergen environment, has vinyl floor and is provided with mosquito nets. Fi and parking is available free of charge. Tickets for the Europa Park on order available with us. 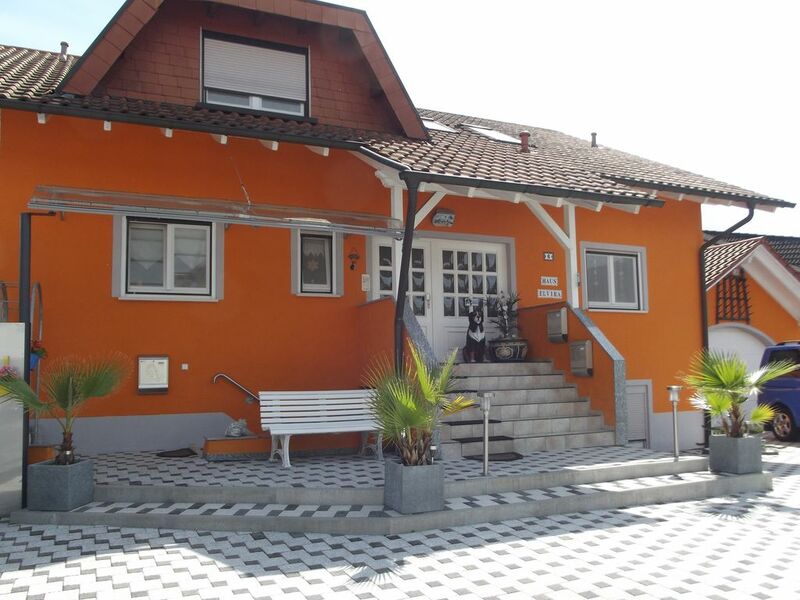 Our house is easily accessible via the A5 motorway and 5 minutes from the Europa Park. to reach many beautiful destinations from here shortly. Restaurants, shops, bakeries and delicious ice cream shop on site. Vielen lieben Dank für Ihre positive Bewertung und freuen uns das es Ihnen bei uns gefallen hat, und mit allem zufrieden waren. Très propre et propriétaires très aimables. Très belle location, bien équipée, bonne literie et propriétaire accueillante. Vielen lieben Dank für die positive Bewertung und freuen uns das es Ihnen bei uns gefallen hat.